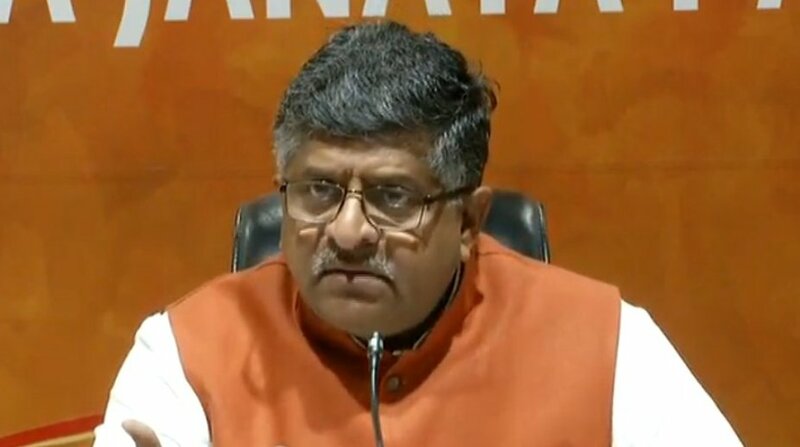 The government’s intention on the appointment of the next Chief Justice of India (CJI) should not be questioned, Law Minister Ravi Shankar Prasad said today, noting that when the incumbent names the senior-most judge of the Supreme Court as his successor as per convention, the executive will take a call. He was responding to a question on whether the government will follow the laid-down conventions and procedures to appoint Justice Ranjan Gogoi as the next Chief Justice when incumbent Dipak Misra demits office on October 2. “The question is imaginary…as far as the appointment of the Chief Justice of India is concerned, the convention is clear…the sitting chief justice names the senior-most judge (of the top court) as his successor. When the name comes to us, we will discuss it,” he told a press conference held to highlight the achievements of the Law Ministry in the past four years. He also said that no one had the “right to question our intention”. Speculations surrounding Justice Gogoi’s appointment as the next CJI emerged following the unprecedented press conference of four most-senior judges in January this year when they had criticised Justice Misra over various issues, especially the manner of allocation of cases to certain benches. Justices J Chelameswar, Ranjan Gogoi, Madan B Lokur and Kurian Joseph addressed the unprecedented press conference, perhaps a first in the history of Indian judiciary. Days before the CJI’s retirement, the law minister seeks his recommendation for the appointment of his successor. Responding to another question on the delay in finalising the memorandum of procedure for appointment of judges, Prasad said discussions were on and the Supreme Court and the government would have to finalise the document together. “Our view (on the MoP) is that the norms of those selected (as judges) have to be mentioned (in the document),” he said. After the Supreme Court struck down a law through which the government had sought more say in the appointment of judges, the top court and the government have been trying to iron out differences on the MoP. He said those claiming hat the government was not appointing judges should remember that “numbers speak for itself”. The Law Minister pointed out that apart from the stay on judges’ appointment in 2014 and 2015 due to the NJAC Act issue, the Centre has appointed 126 judges in 2016 and 117 judges in 2017, and that the appointment of more judges is in the pipeline. “We will surpass our own record of appointing 126 judges in 2016 when this year comes to an end,” he said.